With its bountiful spread of Wild West ghost towns, mysterious mansions, and haunted hotels, California’s a frontrunner for the most haunted state in the Union. Yes, reports of paranormal activity should be taken with a grain of salt, but whether you're prone to the fanciful flights of Mulder or tend to err on the side of Scully, you've got to admit a good ghost story (especially one backed by a touch of historical legitimacy) can be pretty damn powerful -- and California’s got plenty of ’em. Here are the spookiest “haunted” places across the whole state. This old waypoint is the subject of more ghost rumors than you could shake a bundle of sage at. Soledad's Los Coches Adobe was a frequent stop for stagecoach travelers in the mid-1800s, but now sits abandoned; many consider the vacant building to be haunted, including Soledad Mayor Fred Ledesma, who told KION he's heard several tales from city workers and his father about ghost sightings and mysterious noises, including the sounds of raucous parties. One popular rumor is that a group of some 30 miners were trapped underground where they ultimately perished, and the screams of their spirits are still audible to those who venture near after dark. Other supposed ghosts include a spectral couple who wander the grounds holding hands, an inmate who escaped the nearby Soledad Correctional Training Facility, and a woman in black who would murder miners looking for a good time, robbing them and dumping their bodies in a well. 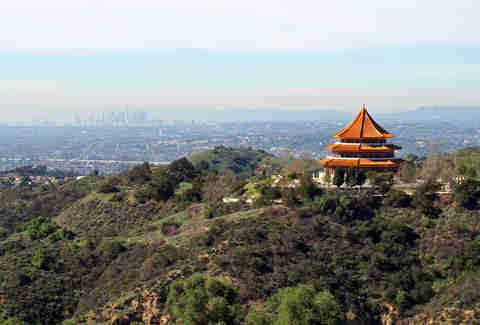 Hikers mostly enjoy Turnbull Canyon, a 4-mile loop trail in the Puente Hills Preserve, for its scenic views. It's also home to so many ghost stories and urban legends that Ryan Murphy could make an entire season of American Horror Story about it. Largely uncorroborated legends surround clandestine meetings of occultists, one of them rumored to have kidnapped several local children from an orphanage for ritual sacrifice. Others claim UFO sightings, KKK gatherings, and disappearing specters. Even more surround an old asylum that burned down decades ago. 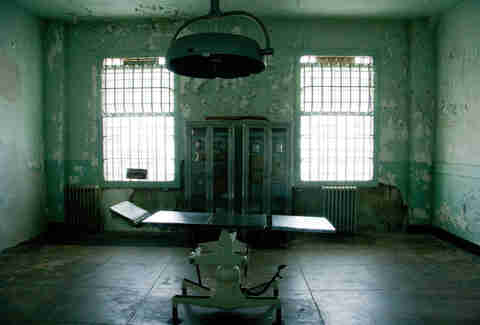 One tale speaks of a teen who came upon an electroshock therapy contraption that fried him to a crisp when he strapped it on his head, despite the fact that the power should have been long cut off. While many of these more lurid tales have little, if any, evidence to support them, Turnbull Canyon has been the site of at least a few well-documented horrors. In 1952, Flight 416 left New York City only to crash into the hills here. All 26 passengers and the plane's three crew members were killed. In 2009, a young woman was attacked by a group of men who slit her throat, threw her down the canyon edge, and left her for dead. The woman was able to make her way to a nearby residence, where she received help and, despite serious wounds, survived. In 2011, the body of 41-year-old woman was found in the area; her boyfriend was convicted of her murder six years later. The Winchester Mystery House is so named for Sarah Winchester, the widow of Winchester Repeating Arms Company treasurer William Wirth Winchester. 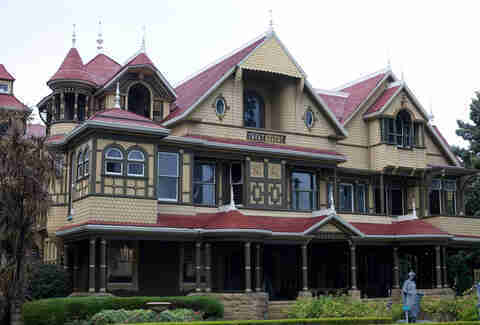 After Mr. Winchester succumbed to tuberculosis in 1881, Sarah Winchester took her massive inheritance from Connecticut to California, where she purchased an unfinished farmhouse and hired several employees to complete it. 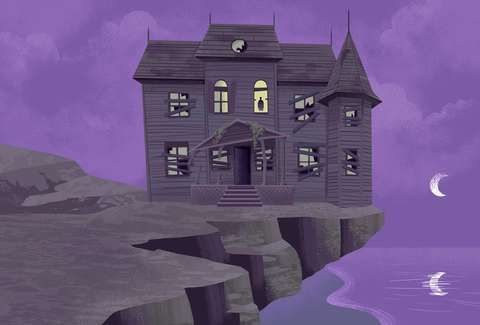 The mansion grew to seven mismatched stories, with rooms and additions tacked on without rhyme or reason, and yet it was never fully completed; famously, doors and stairs were built that bafflingly led nowhere. What fed Winchester’s appetite for construction? The pervasive legend is that Winchester was haunted by the ghosts of those who fell victim to Winchester rifles. The only way to evade the vengeful spirits was to keep building, the twists and turns a means to confuse the ghosts’ relentless pursuit. In some variations of the story, Winchester’s instructions came from a medium she visited after her husband’s death who informed her of her curse. For skeptics, though, the more likely story is that Winchester was just an exceedingly wealthy woman who could afford her endless renovations. Writer Katie Dowd suggests in a 2018 SF Gate article that Winchester kept building because, without a dedicated architect to help her with her designs, she kept screwing up. Others have posited the noted philanthropist kept workers fairly busy because she was rich enough to provide them with continuous employment. Regardless, construction finally halted with Winchester's death in 1922 and lore took over for decades to come. The house itself has been partially restored and is open for public tours; docents stoke the spooky tales and, around Halloween, ghost tours by candlelight are offered. When the magnificent, seaside Hotel del Coronado opened in 1888, it was the biggest resort in the world, attracting a host of notable guests -- and (purportedly) at least one ghost, widely believed to be that of Kate Morgan. Morgan, née Farmer, was the daughter of an Iowa postmaster. She married Thomas Morgan in 1885, with whom she had one son who died at just two days old; five years later, Morgan left with another man and eventually made her way to Los Angeles, where she worked as a housekeeper. On Thanksgiving Day, 1892, Morgan checked into the palatial resort using the name Lottie Bernard. Five days later, she was found dead on a stairway leading to the beach by the hotel's assistant electrician. She had been shot once in the head. A coroner determined the wound to be self-inflicted, and a housekeeper told reporters that Morgan had indicated she was suffering from a terminal illness. Other rumors speculate she'd been abandoned at the hotel by a male companion, leaving her distraught; still others believe she was murdered by said male companion. Though Morgan was laid to rest at Mount Hope Cemetery, not far from the hotel, rumors have long persisted that her ghost roams the property. 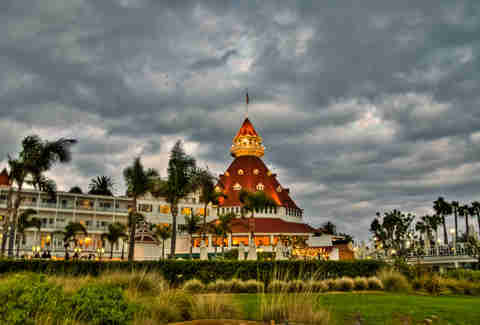 The hotel itself has published a book, Beautiful Stranger: The Ghost of Kate Morgan and the Hotel del Coronado, in which Morgan's spirit is described as playful, but harmless. Those who stay in Morgan's old room (number 3327) have reported mysterious breezes, the TV and faucets turning on and off by themselves, and sightings of a woman in a black Victorian dress. One couple, according to San Diego Magazine, claimed the spirit pulled the covers off the bed at night. Some claim Room 3519 is also haunted by a housekeeper who hanged herself many years ago. That particular case, however, is far less documented than the death of Kate Morgan. A stroll among Greystone Mansion's verdant grounds may give you a sense of peace, but the history of this sprawling, Gordon Kaufmann-designed, Tudor estate is particularly grim. In 1928, oil tycoon Edward Doheny bought the mansion for his son, Ned Doheny Jr., who moved in with his wife, Lucy, and their five children. Just four months later, Doheny's secretary and close friend, Hugh Plunkett, showed up and let himself in with his own key; the official account states that Plunkett fatally shot Doheny before turning the gun on himself, though it's not entirely clear why. Plunkett had gotten mixed up in the infamous Teapot Dome scandal, having accompanied his friend on a 1921 trip to deliver a $100,000 loan to U.S. Secretary of the Interior Albert Fall. This was at the request of Doheny's father, who would later be accused of bribing Fall to gain exclusive oil drilling rights on federal land. Plunkett was called to testify in the case, but the Dohenys allegedly wanted the increasingly unhinged Plunkett committed; the murder-suicide occurred before either could happen. Some have speculated that the official story is not the truth. Theories attempt to connect the pair to a Teapot Dome-related assassination, or assert that Lucy killed them both after finding out they were romantically involved. 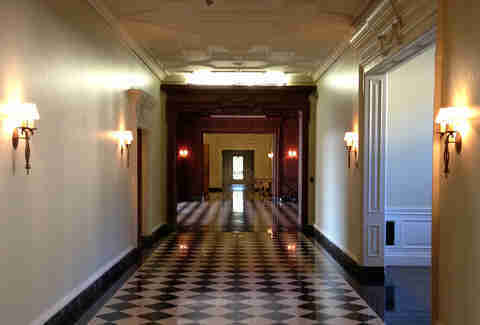 What really happened in the Greystone Mansion that night will likely never be known. The mystery has only bolstered ghost stories, claiming that the spirits of Plunkett and Doheny still wander the 55-room estate. Lucy Doheny remarried and lived at the mansion for the next several years, selling it in 1955. It is now a park owned by Beverly Hills, and the grounds are usually free to visit, barring a private event. To actually get inside the house, you'll have to attend an event or the occasional tour. This infamous maximum security men's prison on Alcatraz Island operated between 1934 and 1963. Sometimes known as “The Rock,” it had a reputation for housing the worst of the worst, with notable inmates including Al Capone, Whitey Bulger, and George “Machine Gun” Kelly. A number of ghost stories surround the popular tourist attraction, but spooky lore precedes the prison; according to legend, the Miwok Indians never liked the island, considering it a gathering place for evil spirits. Alcatraz’s most famous ghost story revolves around cell 14D, in which it is said a prisoner once spent the night screaming about a hostile creature with glowing eyes, only to be found dead the next day. Another tale says that you can still hear the twang of Capone's banjo, a respite for the notorious mobster during his sentence there. Still another ghost story suggests strange noises can be heard echoing from Block C, where, in 1946, three inmates and two correctional officers were killed in a violent escape attempt known as The Battle of Alcatraz. Whether or not the hauntings are legit, Alcatraz Island is now maintained by the National Park Service, while the prison serves as a museum -- which means visitors can get there via ferry for a variety of exhibits and activities. 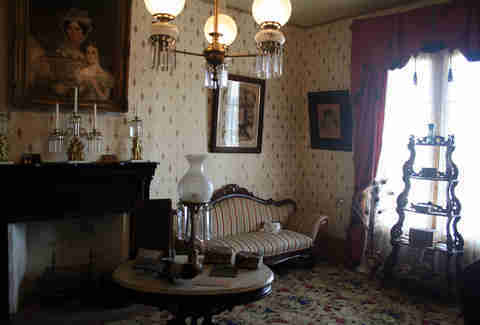 The Whaley House is a history museum in Old Town San Diego, open to the public for tours and events. Rumor persists that the museum is haunted by both the spirits of the Whaley family and a boat thief who was executed on the property. Thomas Whaley was an East Coaster who moved to California for the Gold Rush and ended up operating a store in San Diego in the 1850s. He built himself the two-story brick home in 1857, fixing it to an existing granary that would later serve as a courtroom. He lived there with his wife, Anna, with whom he had six children. According to legend, the property is haunted by multiple spirits; James "Yankee Jim" Robinson is perhaps the oldest among them. A convicted thief, he was hanged in 1852 on the property before a group of onlookers, one of whom was Whaley himself. Whaley still purchased the property and built his family home there, but would later claim to hear disembodied footsteps, which he attributed to Robinson’s ghost. The Cecil is not the only old hotel in downtown Los Angeles to harbor a ghost story, but it’s definitely the creepiest among them. It's had so many tragedies, there’s a whole Wikipedia page for "list of deaths and violence at the Cecil Hotel." Like most of its contemporaries, the Cecil was a nice hotel when it opened in the ’20s, but then fell into disrepair in the wake of the Great Depression. Its earliest issue was the oddly high number of suicides that occurred on the property: so many, in fact, that people began to refer to it as The Suicide. The first is believed to have occurred in 1931, when a traveler from Chicago checked in under a fake name and took poison in his room. In 1962, Pauline Otton, 27, leapt from the ninth story after getting into an argument with her estranged husband. She landed on top of a passing pedestrian, 65-year-old George Gianinni, and killed them both. In 1964, Goldie Osgood was found murdered in her room at the Cecil. She was known as “Pigeon,” as she frequently fed the birds gathered in Pershing Square, just a short walk from the hotel. Though it was determined that Osgood had been beaten to death, her assailant was never caught. In 2013, 21-year-old Canadian tourist Elisa Lam went missing shortly after checking in to the Cecil. She was found dead several days later in one of the hotel's rooftop water tanks; guests, who had been bathing with and drinking the tainted water, had begun to complain about low water pressure, leading a maintenance man to the horrifying discovery. The shocking case received considerable media attention, in part due to surveillance footage of Lam behaving bizarrely in an elevator; police had released the footage while Lam was still missing, hoping it would lead them to her safe return. The hotel’s got some history with serial killers as well: Los Angeles serial killer Richard “The Night Stalker” Ramirez stayed here in the mid-’80s, and Austrian serial killer Jack Unterweger spent time here in 1991 while he worked as a journalist covering crime in LA (and subsequently murdered three women during his stay). With so many horrific and tragic events occurring in a single hotel -- and the above are just a handful of them -- it's no wonder that the superstitious believe some sort of dark presence has taken hold. 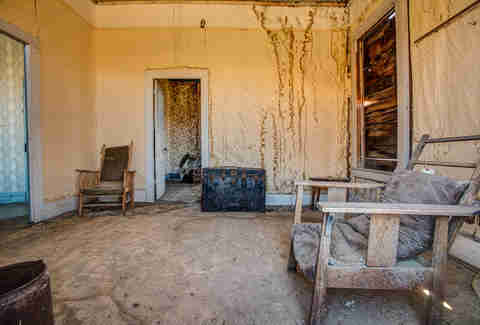 California is home to several ghost towns, but Bodie is the one that's got its very own curse. 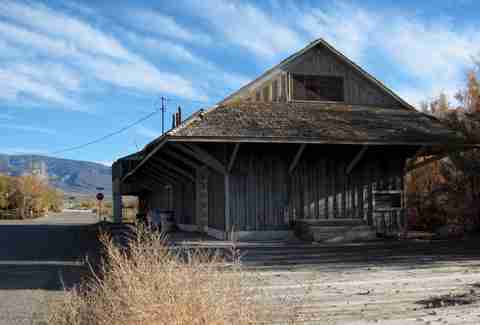 Located in the Bodie Hills south of Lake Tahoe, it was a former mining and Gold Rush boom town containing a bank, numerous rowdy saloons, a Chinatown area, and a Red Light District. 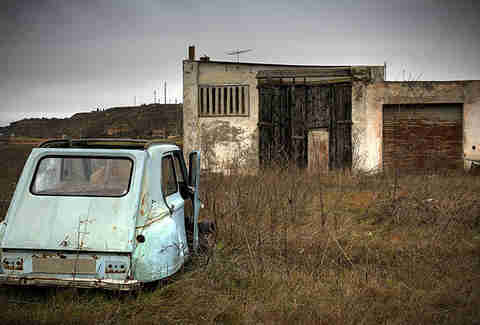 The population steadily declined until, by the 1940s, fewer than 10 residents remained. In 1961, Bodie was named a National Historic Landmark, now known as Bodie State Historic Park. Just over 100 structures remain in a state of "arrested decay," giving tourists a glimmer of its Wild West past. As for the so-called Bodie Curse, it’s easily avoided: Just don't take anything from the park, and you'll be fine. If you pocket a single item, however, you'll be plagued with misfortune, and according to a KQED segment, many past thieves have returned their ill-gotten goods -- ranging from rocks and nails to an upright piano -- complete with letters of contrition. Ultimately, the source of the curse seems to have been a park ranger desperate to stop sticky-fingered tourists from taking old artifacts, but those who have tested it still seem to swear by it. When it comes to ghosts, Bodie could perhaps point to its rough past replete with bar brawls and gun fights, but its most interesting character may have been Eleanor Dumont, a card dealer better known as “Madame Mustache” (due to a dark swath of hair on her upper lip). She came to Bodie where her luck ran out and, funds depleted, fatally injected herself with morphine. Maybe it’s Dumont’s restless spirit who gives the fictional curse its long legs. The Char Man is a Central Coast urban legend dating back to the 1940s. According to local lore, the Char Man was a guy who lived in a cabin just outside the city of Ojai before he was forever altered by the flames of a raging wildfire. From there, the tale spins off into multiple popular variations. In one, the Char Man lived with his father, who was killed in the blaze; the Char Man survived, but was badly injured and driven mad by the traumatic experience. He was last seen flaying his father's ruined flesh before fleeing into the woods near Old Creek Road. In other versions of the story, it's a lover or sister who is killed in the fire; in yet others, he’s a solitary older man so horribly disfigured by the fire that he became a recluse who emerges only to chase away intruders. In a 1967 article in the Ventura County Star-Free Press, a teenage boy claimed that the Char Man chased him and stole his jacket. Charlie Seemann, who researched the legend extensively, made contact with an anonymous source who claimed he was the one who stole the boy's jacket. The source said he'd heard the Char Man stories and decided to stage an elaborate hoax to further terrify the local youth. Seemann also spoke with a law enforcement officer who claimed the real Char Man was an older gentleman with a skin deformity who lived alone near Signal Street. Children who saw him were frightened by his appearance, and the legend grew from there. Regardless of how the whole thing started, the Char Man continues to lend his likeness to nightmares -- and a local hot sauce brand. Juliet Bennett Rylah is a freelance journalist based in Los Angeles, who -- like demons and monsters in the Buffyverse -- usually takes Halloween off. She's at @jbrylah (for both Twitter and Insta).